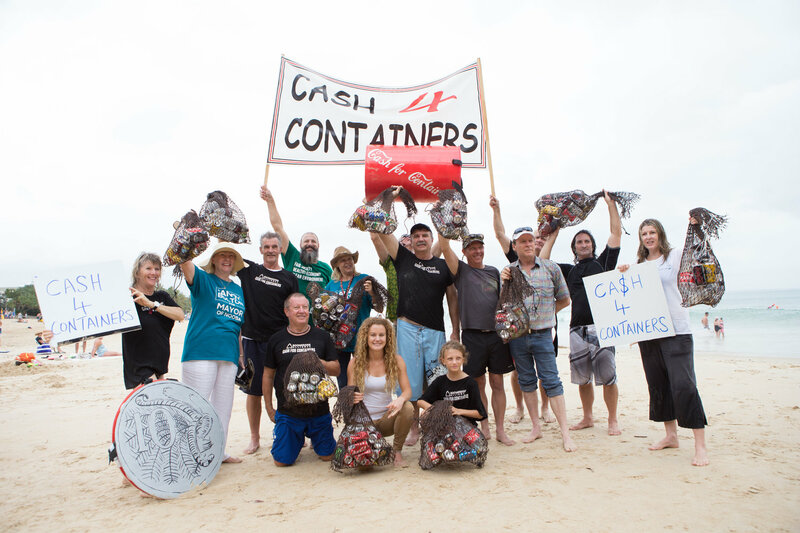 Cash for Containers for the Sunny Coast! It’s not often we see bi-partisan support for good environmental policy unfortunately. As we know, the environment is too often politicised leaving it vulnerable to the consequences of a disastrous agenda. However, when it comes to introducing a Container Deposit Scheme (CDS) for Queensland, there is no political divide. SCEC, community groups and local champions have been working alongside Boomerang Alliance to help progress a scheme for Queensland. The Palaszczuk government has been investigating a container deposit scheme for Queensland and now, with the LNP committing to a CDS the prospect of scheme implemented by 2018 is positive. This has so many benefits for the community, our oceans and waterways, bushland and beaches.